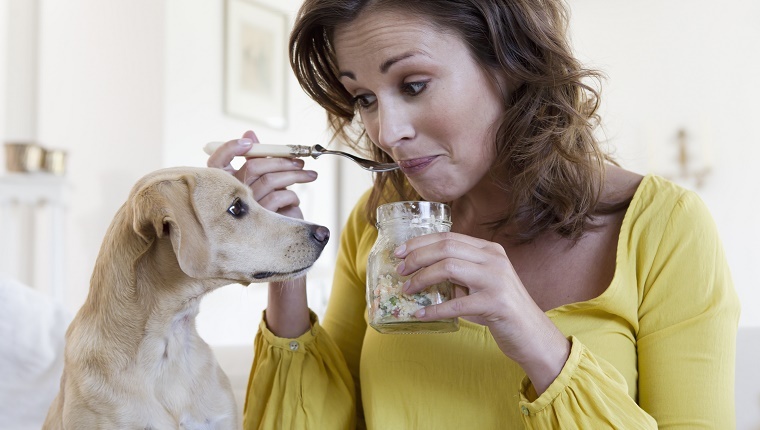 You probably want to share all your delicious people food with your pup. After all, who can resist those puppy-dog eyes begging for a morsel? But hold off on spoiling your fur baby. Sometimes being a good doggy parent is knowing when to say, “No.” Some foods are just downright bad for dogs and can cause all sorts of health problems. Even if your dog has eaten these foods in the past with no problems, they could be causing serious issues that you might not be aware of. Here are a few foods you should never feed dogs, no matter how adorably they beg. At the top of the list of bad foods for dogs is the one you’ve probably heard of most often–chocolate. Theobromine isn’t harmful to humans, but it’s the toxic part of chocolate for dogs. 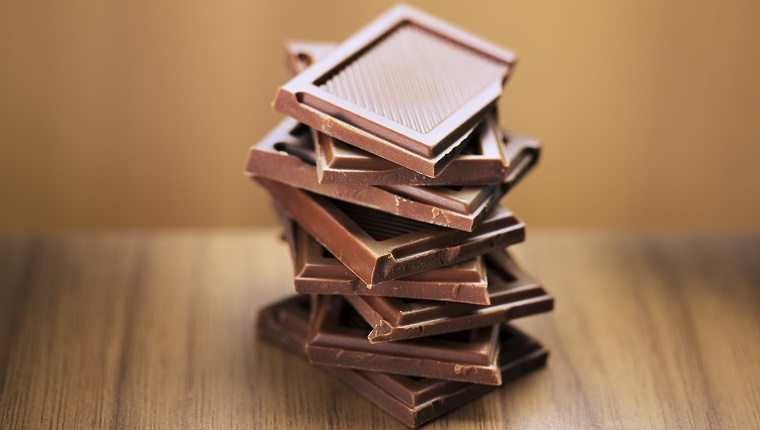 It’s found in all kinds of chocolate, but especially in dark chocolate and baking chocolate. It can cause a dog to vomit, have diarrhea, and become overly thirsty, but on the more extreme side it can cause abnormal heart rhythms, seizures, tremors, or death. Save the sweets for yourself. Wait, your dog can’t have bacon? That’s right! 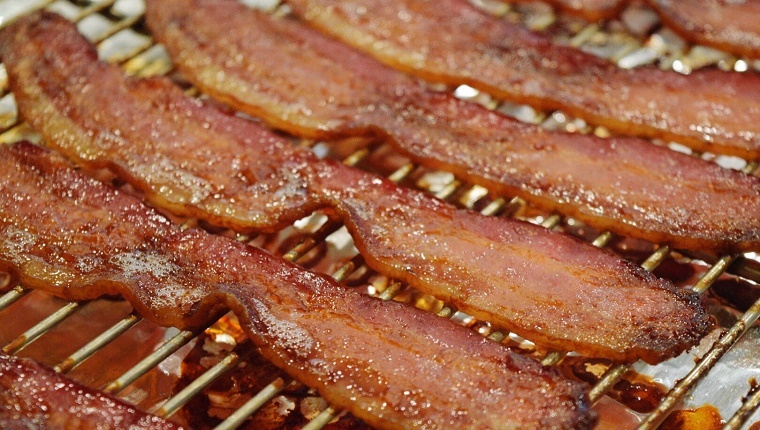 High fat foods like bacon, ham, or meat trimmings can cause pancreatitis in dogs. And since these meats are often high in salt content, too, they can cause upset stomachs and, in extreme cases, can cause dogs to drink too much water, leading to bloat, which can be fatal. Save the fatty meats for yourself and stick to leaner choices for your dog. You may have heard that popcorn and pretzels are bad for dogs, but that’s usually only the case if those foods are salted. 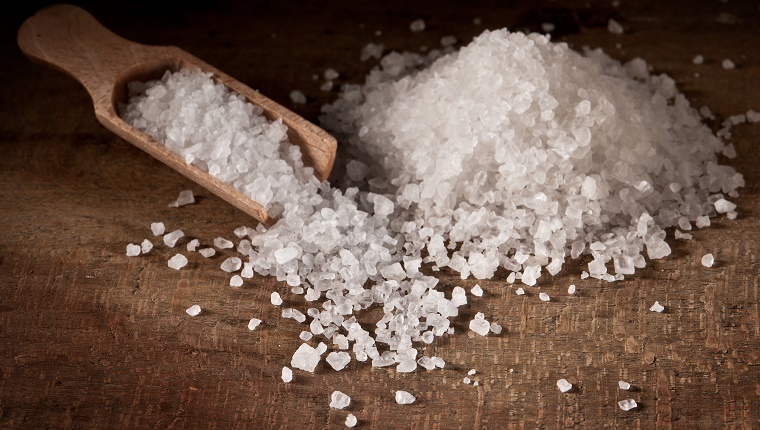 Salt can cause a condition called sodium ion poisoning, not to mention excessive thirst or urination. Symptoms of eating too much salt might include vomiting, diarrhea, high body temperature, and seizures, in addition to bloat, as is the case with bacon. Salt can be fatal, so keep it to a minimum in the foods you share with your pup. This one-two combo of foods doesn’t just give you dragon breath and repel vampires. These pungent ingredients are bad news for dogs. They can actually destroy a dog’s red blood cells, leading to anemia, if consumed in high quantities. This is a tricky one because a small dose might not do much harm. But a large dose or regular small doses can lead to poisoning. Symptoms might include weakness, vomiting, breathlessness, and a loss of interest in food. Keep the bad breath to yourself. You may have slipped your dog a pill in a piece of cheese, but dogs aren’t really built to process cow milk products. They lack the enzyme to break down milk sugar, and while some dogs are more able to handle dairy than others, many dogs are lactose intolerant. 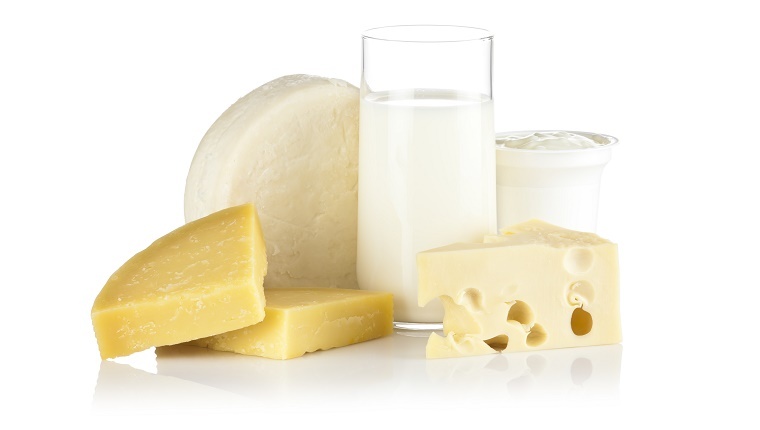 Dairy can cause dogs to vomit, have diarrhea, or develop gastrointestinal diseases. The high fat content can lead to pancreatitis, as is the case with fatty meats. Don’t share your dairy with your dog. More ice cream for you! 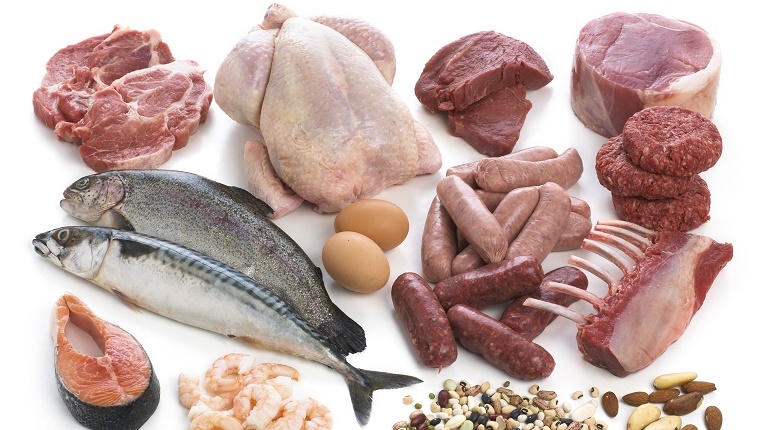 This one is a subject of controversy, as many vets are seeing health benefits from their patients switching to raw meat diets, including healthier skin and coats, cleaner teeth, and easier digestion. Some vets recommend cooking raw food to kill off bacteria and parasites that can be harmful to dogs. The majority of vets and the FDA still discourage feeding raw meat to dogs, and salmonella and e. coli infections do happen in canines. Most of these infections happen to dogs whose immune systems are already compromised, but it may be hard to tell if your dog’s immune system is completely healthy. Raw eggs have enzymes that can cause skin conditions in dogs, and raw fish can hide parasites that cause fatal diseases. There are risks to a raw diet that you need to weigh against the benefits before you decide to try it. These risks can be reduced through freezing and proper preparation, but you need to learn how to properly handle raw food before you feed it to your dog. The important thing to understand is that it is absolutely not safe to just run to the grocery store, buy raw meat, and toss it into your dog’s bowl or to allow your dog to sneak unprepared meat off the counter or out of the garbage. 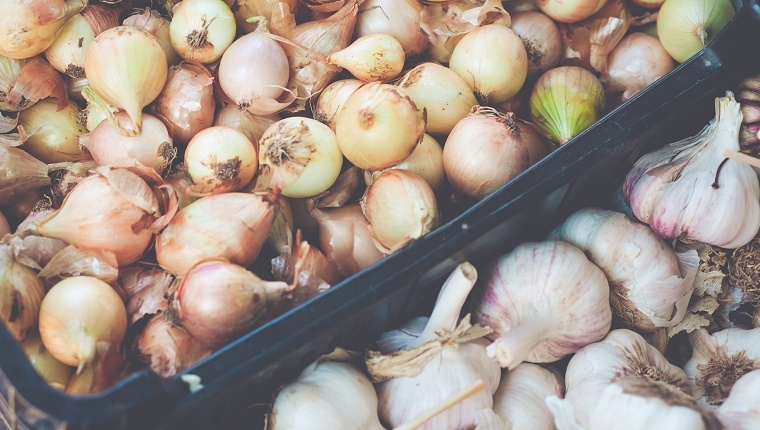 If you are planning to switch to a raw diet for your dog, you need to learn about proper preparation of the food so that the risk of bacterial or parasitic infection can be minimized, learn about the appropriate amount to feed your dog, and take into account your dog’s overall health. Research and understand the risks and stay informed. If you don’t, your dog can get very sick. 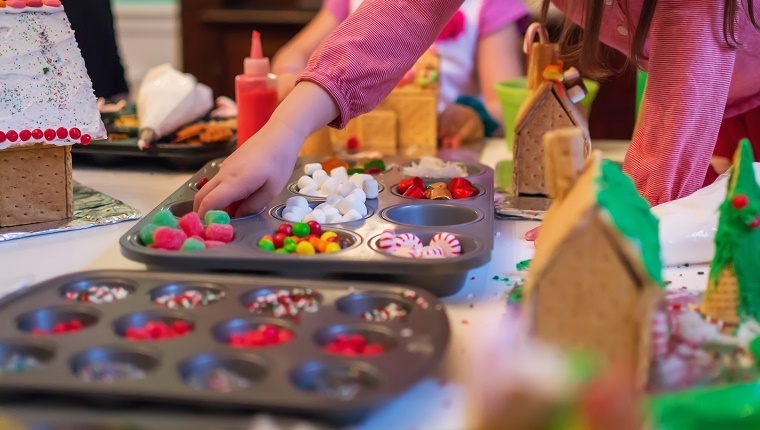 The real culprit when it comes to these sweets is an ingredient called xylitol. It causes an insulin surge through your dog’s body that can lead to a drop in blood sugar and liver failure. Symptoms include lethargy, vomiting, loss of coordination, seizures, and eventually death. Several of these foods, especially peanut butter, are sometimes made without xylitol, so check the list of ingredients in your foods before you share them with your dog. 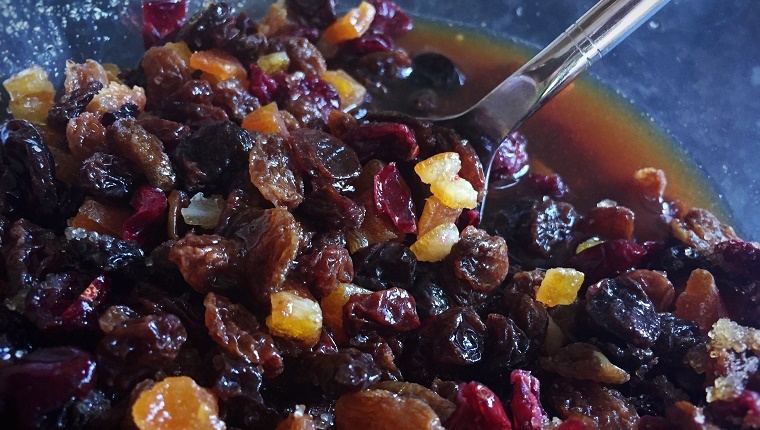 This is a sneaky case of dangerous foods, as your dog has probably eaten some grapes or raisins without issue. But it’s risky. Grapes and raisins are known to cause renal failure in dogs. Your dogs kidneys might start to shut down, causing vomiting and lethargy and eventually leading to death. It’s best to keep the grapes and raisins out of reach of your dog. Sugary food isn’t good for humans, and it’s not good for dogs either. In fact, it can lead to similar problems for dogs as it does for humans. 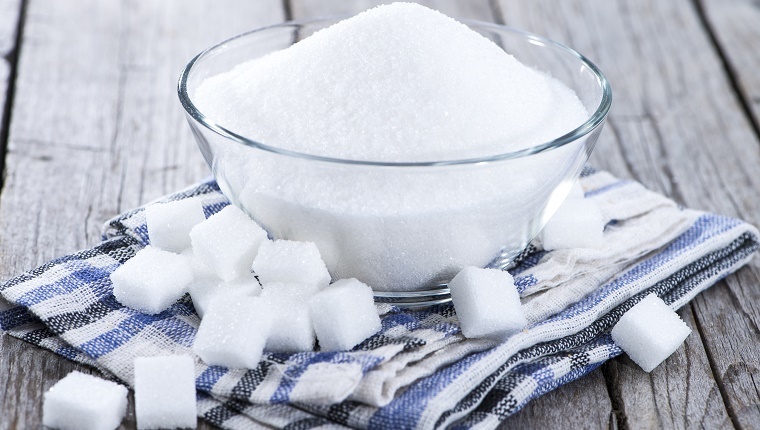 Obesity, dental health issues, and diabetes can all result from overeating foods that have high sugar content. Don’t feed your dog sugar, and we should all probably consider cutting back on the sugar we eat, too. 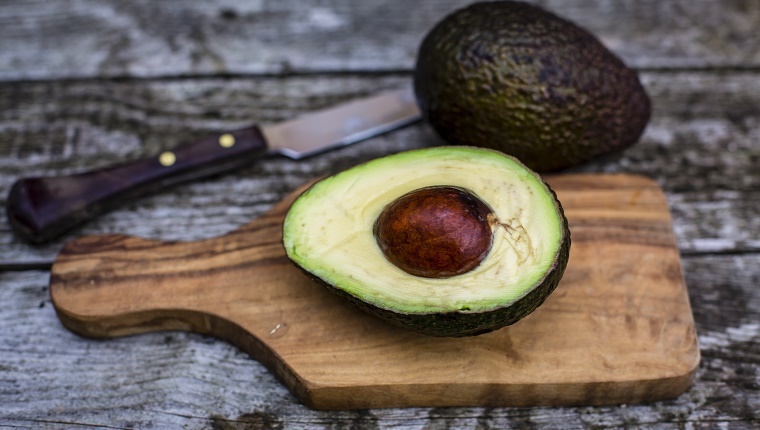 Much of the controversy around avocados when it comes to dogs revolves around persin, a substance avocados contain in their leaves, seeds, bark, and fruit. Persin can be toxic in high doses. Dogs are, however, fairly resistant to persin, and it would take a lot of avocados for the persin to cause harm. Once avocados are ripe, the persin levels drop, too. So what’s the problem with avocados? Well, if you have an avocado plant in your house or in your yard, your dog may overindulge in unripened fruit and persin, but the real danger comes from the seeds, stems, and pits, all of which are difficult to digest and can cause choking or gastrointestinal blockages, which can be fatal. If you have an avocado tree, as many people do in certain parts of the United States and elsewhere, make sure your pup can’t get anywhere near it or the fruit that falls to the ground. Prepare avocados for your dog by removing the harmful parts, especially the pits, and use avos that are ripe. If you do, it is likely that your dog can safely enjoy avocados, but as always, you should ask your vet before sharing human food with your dog. Other products that aren’t necessarily food for you that your dog should stay away from include uncooked yeast dough, seeds and pits from fruit, raw potato, cooked bones, apple cores, alcohol, caffeine, and human medicine. Don’t let your dog anywhere near these products, as they are toxic and can lead to potential poisoning, choking, gastrointestinal issues, and death. Stick to a diet approved by your vet, or research some healthy foods that you can share with your dog. Resist that cute face and keep most of your human food to yourself. What other foods should be added to the list? Let us know in the comments below!